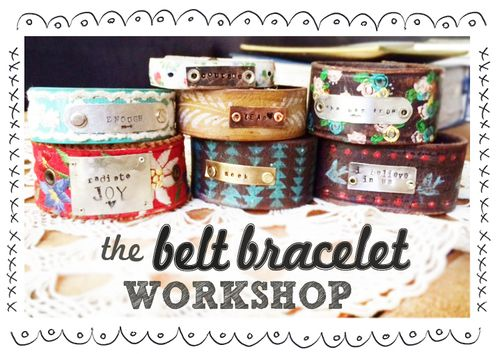 Glitter & Grunge Studio: Belt Bracelet Fun! I've been taking a couple of creative business courses this summer. There is so much information, inspiration, and motivation swirling through my brain, and flowing through my actions. But it's so big, I can hardly get my head wrapped around it all. After I finish the courses, I will share a bit of how they have positively affected my business and home life.